Major Nelson just announced on his Twitter feed what the Xbox Games with Gold titles will be for Feb 2019. 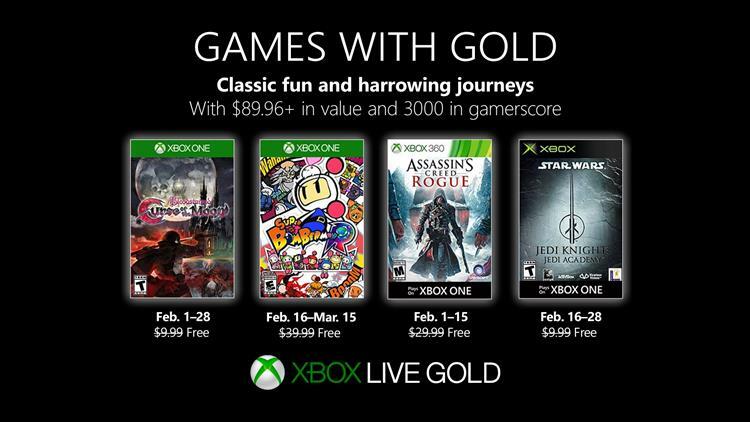 Its and interesting collection, as it includes Bloodstained: Curse of the Moon, Super Bomberman R, Assassin’s Creed Rogue and Star Wars Jedi Knight: Jedi Academy. If you didn't get a chance to play these originally, now is the time to grab them for free. Check out a brief snippet about each game below.